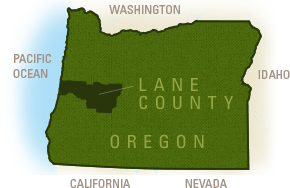 The Eugene - Springfield metropolitan area, located just off of Interstate 5, offers a multitude of activities and attractions. Create you own tour of Eugene and Springfield as you select from the many choices. Come face to face with eagles, owls, hawks and falcons at this raptor rehabilitation center. More than 60 birds call the Cascades Raptor Center home. Located in the woods of South Eugene, the Raptor Center provides a unique opportunity to see these beautiful birds of prey up close and to learn more about them. Visit the oldest weekly, open-air craft festival in the U.S. Nearly 200 craft booths combine with delicious food and live entertainment (and great people watching). Everything is hand-crafted and sold by the artist or their loved one. Open downtown every Saturday rain or shine from April to early November when it becomes the Holiday Market and moves inside the Lane Event Center through December. The historic Fifth Street Public Market is a colorful collection of shops, restaurants and galleries. Since 1976, the market has been the perfect place to meet friends for coffee, a delicious meal, or to shop in the local boutiques. Gateway Mall features great shopping at over 80 stores! Catch the latest blockbuster on one of the 29 theater screens, work out at the 24-hour fitness center or enjoy a meal at one of 14 eateries. Take your time at a sit down or buffet style restaurant or grab a quick bite from the extensive food court. Find everything you need at Cabela's, Target, Kohl's or Sears. Eugene's premier shopping experience located in the heart of Eugene. The upscale Oakway Center offers a diverse mix of local and national shops and restaurants. The addition of the Heritage Courtyard offers outdoor dining and scheduled seasonal entertainment under canopies of heritage oak trees. The largest shopping center between Portland and San Francisco. Pick up a quick meal as you shop the over 140 stores. Located just minutes from downtown along the Willamette River.